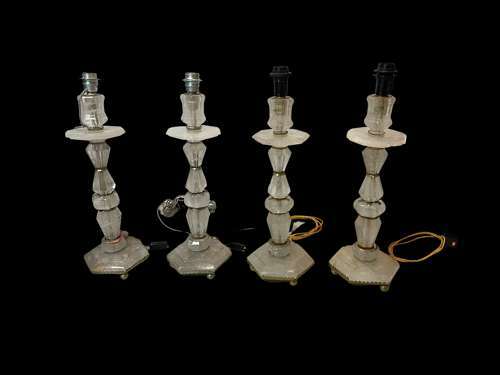 A very large pair of silvered brass mounted, solid rock crystal candlesticks, converted to lamps. Professionally wired for electricity. French, mid-20th century.